God’s people are called to walk on mission with Him everyday, everywhere, all the time. Missions isn’t just for a few special people with special callings to unique places. Missions is all of us in our everyday life. Missions is in our neighborhood, workplace, and marketplace. We are to demonstrate and proclaim the good news of God’s Kingdom and reconciliation through Jesus. It is important to remember that God’s Kingdom isn’t just a message. There is a power of the Kingdom of God that is to be demonstrated as well. 1 Corinthians 4:20 For the kingdom of God does not consist in words only, but in power. 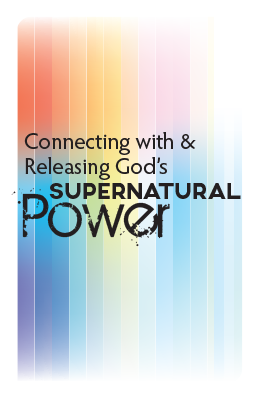 This study will help equip you to be more open to, and move in God’s supernatural power on mission.